Nestled in the San Bernardino National Forest, the tranquil, serene Big Bear Lake area is famous for its spectacular skiing opportunities and picturesque mountain terrain. Read on to learn more about where you can go to get your blood pumping on an incredibly pleasant, scenic workout in the snow! Snow Summit and Bear Mountain offer two diverse sets of mountainous terrain to accommodate skiers of all skill-levels, boasting 436 acres, twenty-six chairlifts, four high-speed chairs, nearly two thousand vertical feet, and over two hundred park features, such as rails, funboxes, and jumps. Tickets are also interchangeable between these two resorts, and both resorts offer lessons, equipment rentals, and seasonal passes. Additional trails that you’ll find in the Big Bear area range from beginner to expert. Learning Curve, Easy Street, Amusement Park, and The Gulch are great for beginners. Intermediate skiers will enjoy Acceleration, Ripcord, Silver Connection Boneyard, Central Park, Hidden Valley, Outlaw’s Alley, Gambler, and The Park Run. Visitors who are up for a difficult challenge that will push them to their limit should seek out Rip’s Run, Outlaw, or Exhibition. Expert skiers should try The Wedge, Showtime, and Geronimo. Fun factoids about both Bear Mountain and Snow Summit include their connection to Olympic Gold Medalist Shaun White, who spent a lot of time training on both Bear Mountain, where the first freestyle park was established in the 1990’s, and Snow Summit’s Westridge freestyle run. Additionally, Bear Mountain has three main peaks. These including Bear Peak (which has a nearly nine-thousand-foot summit and is the highest peak in Southern California with lift service), Silver Mountain, and Goldmine Mountain. There are twenty-four runs total, with over half of them being most fit for intermediate and advanced skiers. 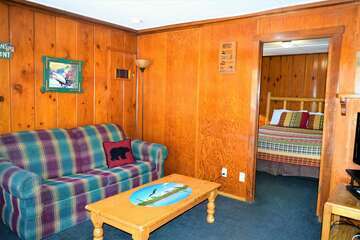 Make memories that you and your family, friends, and loved ones will cherish for years to come when you reserve your own private cabin in Big Bear Lake with us! 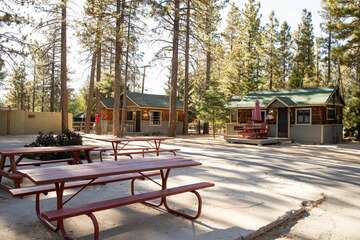 Contact the Big Bear Cabins office today to learn more about the multitude of activities and attractions that await you here in Big Bear in addition to skiing, and any other questions you might have. 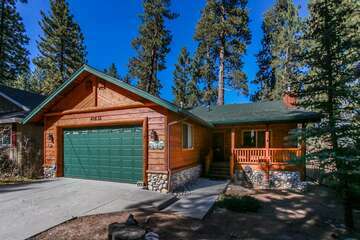 Let us help you plan your best Big Bear vacation yet!